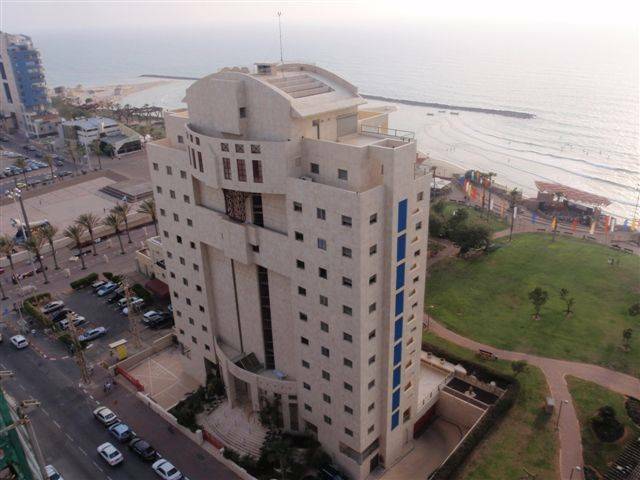 The Washington, a brand new building, is located at 3 David Hamelech, Apt 20, in the exclusive Netanya area. This fabulous, fully furnished apartment is now available for short term rentals. 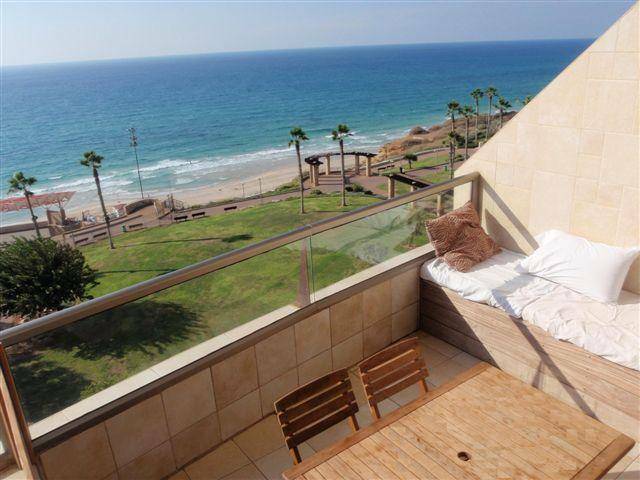 The 3 bedroom luxury apartment has balcony with spectacular views of the beach. Take a refreshing swim cross the garden to the beach! Located facing the Mediterranean Sea and the city center. All shops and restaurants at the foot of the building. 6th floor, area 85m2, 2 elevators, Shabbat elevator. 3 rooms: living-room, 1 bedroom with queen bed (160cm w 190cm), 1 bedroom with 2 single bed (90cm x 190cm), bathroom, dining room, kitchen, large balcony, toilet, Washer, Dryer, Dishwasher, Microwave, Electric Kettle, plate shabbat, Fridge / freezer, Iron, Ironing Board, High Count Linen, Air conditioning, Free WIFI, TV LCD satellite TV programs. Netanya Kikar (center): less than 50 m; Supermarket at 300m; 2 Minimarkets at 50m; 10 restaurants at less then 150m; Central Netanya bus station at 350m. Private parking lot, Sheets and towels included. Costs included in the rental price: Water, gas, local taxes, charges copro. Electricity according to consumption 1sheqel / kWh. au 6eme étage, Surface 85m2, 2 ascenseurs, ascenseur sabbatique. 3 pièces: Salon front de mer, 2 chambres à coucher front de mer, salle de bain, Salle à manger, Cuisine américaine, grand balcon, WC indépendant, Lave-linge, Sèche-linge, Lave-vaisselle, Micro-ondes, bouilloire électrique, plaque de shabbat, Frigo/congelo, Air conditionné, Télévision LCD programmes TV par satellite, FREE WIFI. Netanya Kikar (centre): moins de 50 m; Supermarché à 300m; 2 Superette à 50m; 10 restaurants a moins de 150m; Gare routière centrale a 350m. Parking privatif en sous-sol, Draps et serviettes compris. Frais inclus dans le prix de la location: Eau, gaz, taxes locales, charges de copro. When you come to Israel, an apartment is set up for you exclusively. The apartment has the comfort of a five star hotel room with the spaciousness and convenience of a home away from home. The apartments are carefully designed with an eye for detail. We design, decorate and furnish our apartments with you in mind! Rental without an intermediary and no agency fees. 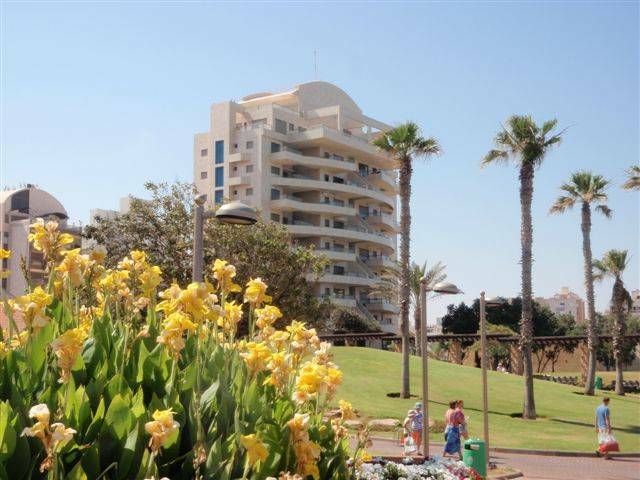 Apartment seafront 6th floor, area 85m2, 2 elevators, Shabbat elevator. 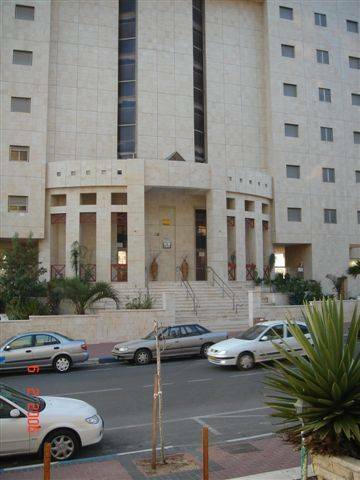 3 rooms: living-room, 1 bedroom with queen bed (160cm w 190cm), 1 bedroom with 2 single bed (90cm x 190cm), bathroom, dining room, kitchen, large balcony, toilet, Washer, Dryer, Dishwasher, Microwave, Electric Kettle, plate shabbat, Fridge / freezer, Iron, Ironing Board, High Count Linen, Air conditioning, Free WIFI, TV LCD satellite TV programs. Comfortable sleeps 4 people (extra bed. Upon request) 50 m to beach Netanya Kikar (center): less than 50 m; Supermarket at 300m; 2 Minimarkets at 50m; 10 restaurants at less then 150m; Central Netanya bus station at 350m. Private parking lot, Sheets and towels included. If you want to book, I need the names of the persons that will be in the apartment, your address and Telephone at home and cellular if possible. We will send you a contract to sign, you will pay 50% of the rental price by bank transfer or by credit cards. The balance is to be paid cash on arrival. the damage deposit (1000EUR) is payable on arrival in cash or cheque. I have attached some pictures. We are at your disposal for any further information. Planning a vacation in Israel? We have a great idea for you – come join us in Netanya. 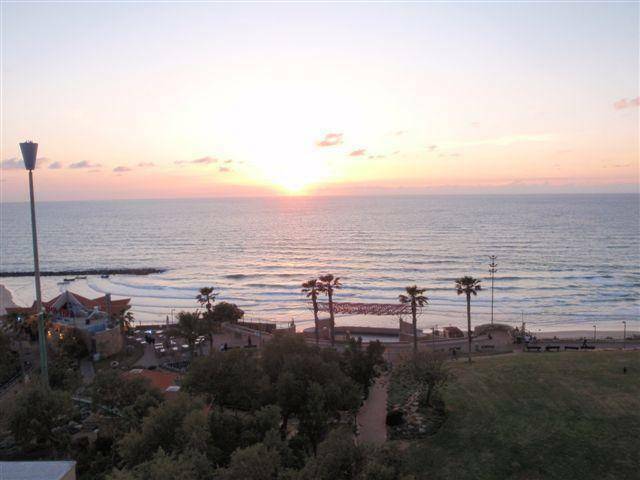 We love Netanya and invite you to enjoy it together with us. 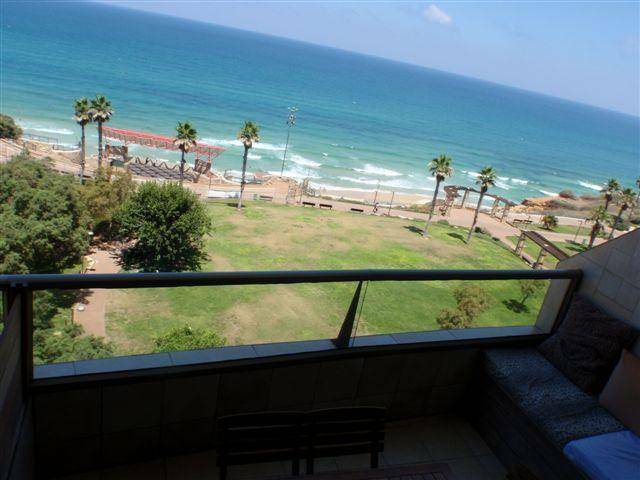 There is no other city with beaches like Netanya’s. Thirteen and a half kilometers of golden beaches, some of the most beautiful in Israel, stretch from the northern part of the city all the way down south to the Poleg estuary. The cliffs overlooking the beaches create a high observation point from the city to the depth of the sea. There are seven official beaches suitable for bathing where local people and tens of thousands of tourists can be found every summer. On the beaches there are restaurants, bathing facilities and various attractions. A variety of activities are held on the beaches of Netanya: surfing, beach volleyball, sand football (soccer), marine sports and of course paragliding that has become the city’s most visible icon. En été, l’endroit est idéal, une des +belle plages, sports aquatiques, café..
- du propriétaire : dans les sept jours suivant le désistement, il est tenu de rembourser les sommes versées par le locataire et verser une somme équivalente au locataire. A proximite de tous les transports existant. Gare routière centrale a 350m.